Peggy Snow. “Holger visits Amerika”. 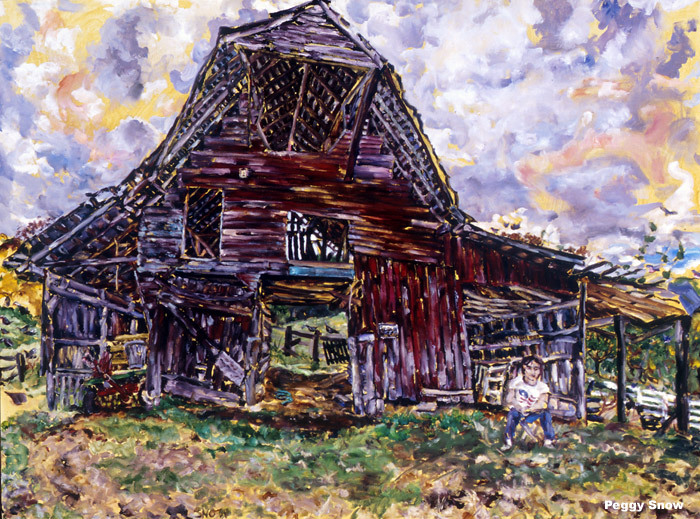 A now vanished barn in the countryside around Nashville, this work was made with the accompaniment of a friend who visited me from Marburg, Holger Marko. Now I visit him!